Harris Hill has once again teamed up with Third Sector Jobs to offer charity employers and professionals the chance to win £150 Amazon voucher by completing this short recruiter perceptions survey. 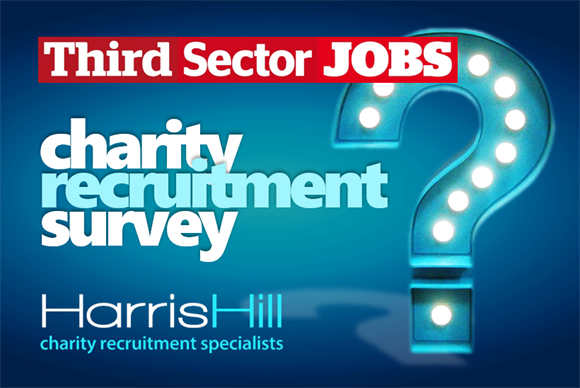 Following an insightful survey in 2018, Harris Hill is once again keen to hear the industry’s latest views on what’s important to you in a charity specialist, how you feel about the service you receive from recruiters, and what could be improved to better support your recruitment or job search process. When choosing a recruitment consultancy, charity recruiters prioritise high quality candidates, whereas candidates prioritise experienced consultants. Recruitment consultancies could improve candidates’ perceptions by investing time in getting to know them and helping to sell them to the best employers. Offering networking and training opportunities would also help boost perceptions. Being more flexible on fees and attracting a higher calibre of candidates to offer to clients would improve charities’ perceptions of recruitment consultancies. Do you use recruitment consultancies to hire staff? What factors are important when choosing a recruitment consultancy? How would you rate Harris Hill’s understanding of the sector and your resourcing challenges? What could recruitment consultancies do to better support you in your career? What are the two most important factors you look for in a charity recruiter? How well do you feel Harris Hill understands your needs and finds you the right kind of roles? "Following last year’s survey we have been able to take some interesting learnings from the industry and apply them to our business. A year on, charities are still competing for talent and jobseekers want to make the very best career choices. As a charity recruitment specialist, we highly value the opportunity to gain an up-to-the-minute understanding of their challenges and requirements, to make sure we’re genuinely meeting their needs and adapting as they change. "That’s why we’ve decided to partner with Third Sector Jobs again to ask charity professionals and employers for their views on recruiters throughout the sector, how we’re doing ourselves, and where we can improve in order to better support them in the future." To thank you for completing the survey, Harris Hill will enter you into a prize draw for a chance to win £150 Amazon voucher. Your feedback will be confidential and the survey should take no longer than five minutes. The survey closes at 5pm on Thursday 28 February 2019.